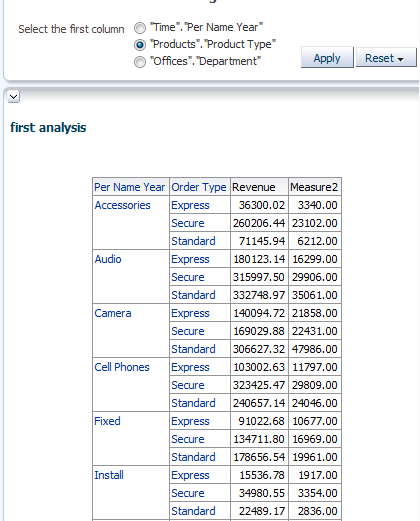 Single selection of columns for several reports. Using the same column selection in several columns of the same analysis. 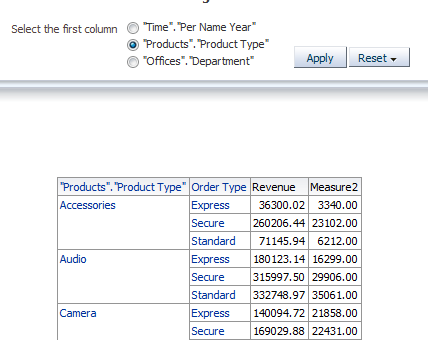 In this post I will create an example where selecting a column from prompt would influence 2 columns in analysis. 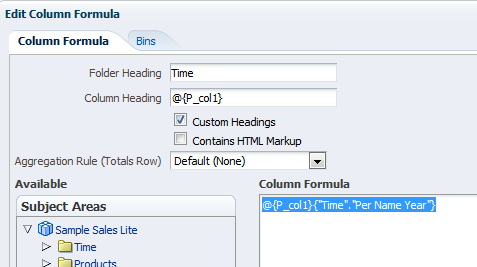 All I want is to create a presentation variable, I will name P_col1, so I add a new Variable prompt (and not a Column Prompt). 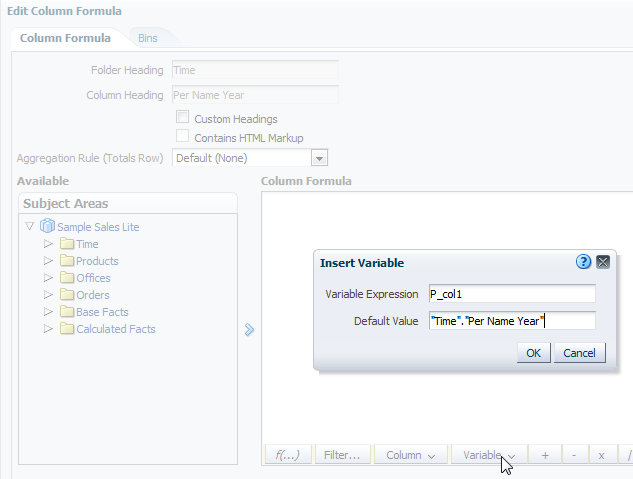 There I will select Presentation Variable and it's name (P_col1) the Label and the user input format. Here you can select whatever you like, just make sure user can select only one value. I selected a "Radio Buttons" option. 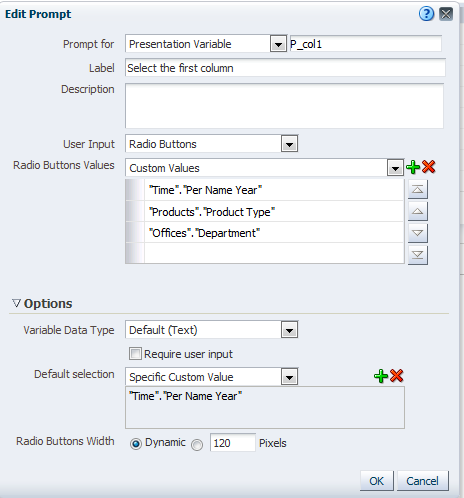 The last thing I did was to select a specific value as default selection (this is important). 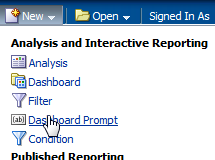 Now i will create an Analysis that uses the above described presentation Variable and place them both in a Dashboard. I could do exactly the same with column selector. 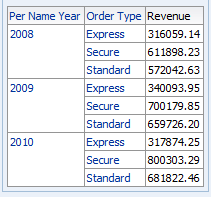 Now, for fun, lets add something I couldn't do with column selector: I'll add a measure that will show "Discount Amount" if the "Per Name Year" was selected and "Billed Quantity" otherwise. 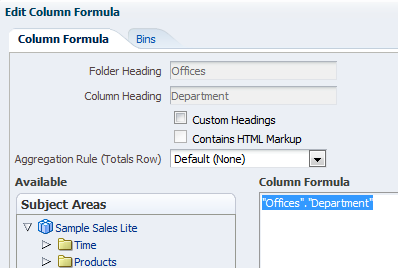 This part I couldn't do with column selectors. 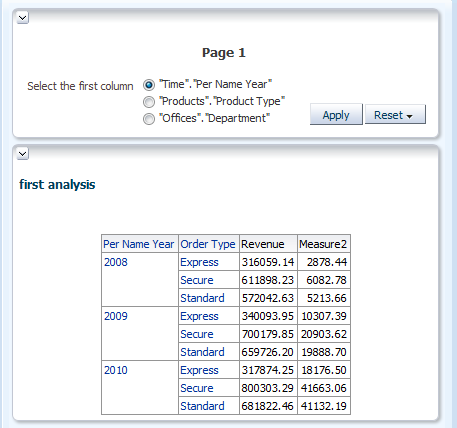 You might have noticed the first column name didn't change after I selected the "Product Type". We didn't have this issue with column selectors. While developers might be happy with the described above, users and UI / UX people might not share my enthusiasm with headers and Prompt Values such as "Time". 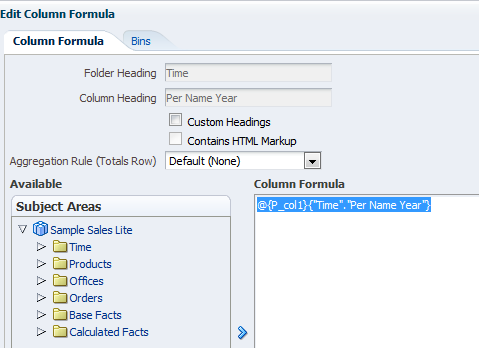 "Per Name Year" and column header such as Measure2. How to make them happier? That would be covered in the next post.